The first main release, which will be quarterly, is going to be in production. 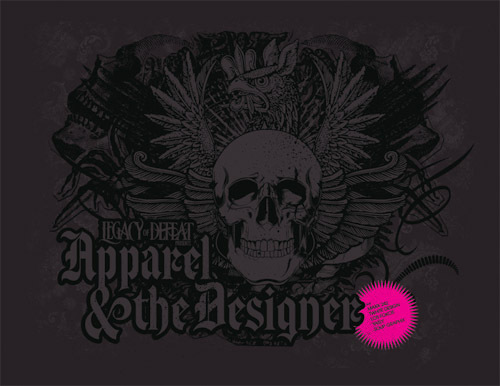 Legacy of Defeat, Apparel & the Designer Vol.1 has locked in the designers for the first issue. Quite a few are good friends of mine, however it’s nice to see they will have time to be involved. So by mid November, the book should be finalized and ready for public abuse! I am seeking designers for Vol.2 which will be figured out right after the new year. Nice. Can’t wait to see it. you are hurting my pocketbook, my friend. Looks cool will definitly purchase! Im super keen to submit work for the 2nd volume! How many pages are there for each designer, so i know how much work to submit! Can I join in 🙂 ? Can’t wait to get a copy. Awesome! Can’t wait to get a copy. hit me up for it.